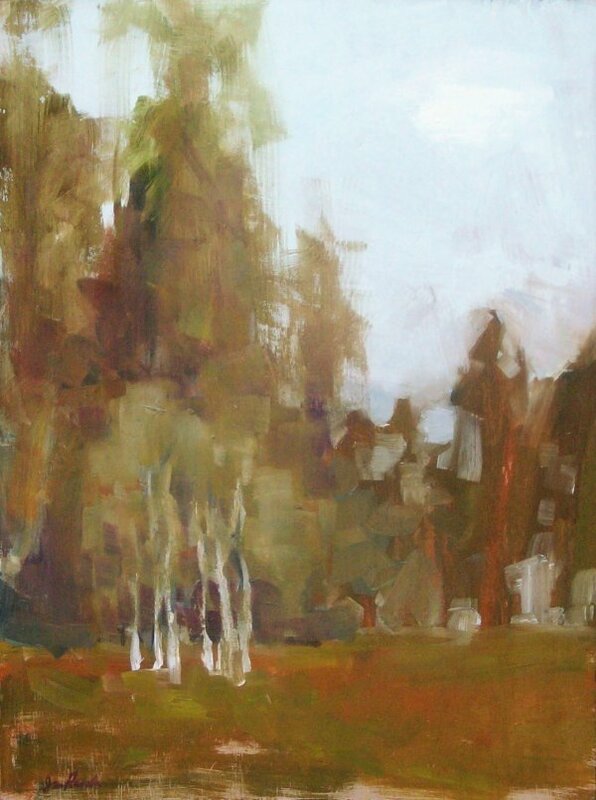 Beautiful impressionist tree painting showing aspen trees and redwood trees. Oil painting on wood. Framed in a rich deep-red wood frame.